Customers from South Africa, America and Ghana bought pallet mill spare parts on August 14, 2015. Canadian customer bought ZLSP200A pellet manufacture machine and 420 crushing equipment on August 11, 2015. British customers bought ZLSP260 small pelletizing mill on August 10, 2015. 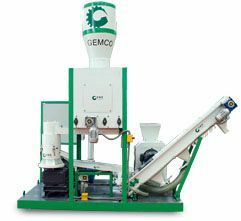 Serbia's customer ordered GEMCO Pellet Presses on August 14, 2015. The Armenian customers ordered ZLSP200B home use pellet mill on August 11, 2015. Italy customer ordered pellet production plant on August 10, 2015. Client from colombia ordered ZLSP-R300B pellets press; 100% prepaied. Spare parts of pelletizing machine sold to Vietnam on Aug,18,2015. TFS420 Crushing equipment ordered by client from Thailand on Aug,21,2015: 100% prepaied. .Pellet mill spare parts ordered by customer from Portugal on Aug,19,2015. Customer from Sweden bought GEMCO ZLSP 200B Pellets Making Equipment on Aug,19,2015. Customer from Nigeria bought a serise of spare parts for flat die pelletizer on Aug,19,2015. Salesman Mr. Zhang sold MPL400 movable pelletizing plant to his client from Chile on Aug,17,2015. 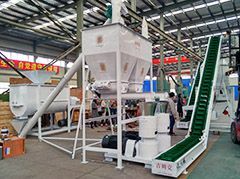 Buyer from Spain ordered a pellet mill plant (including pellets mill, conveyor, dryer machine...) on Aug,17,2015. One set of complete wood pellet making plant are sold to Canada on Aug,17,2015. 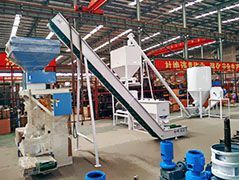 ZLSP 200B Pellet Extruder Machine was sold to Ghana on Aug,21,2015. Customer in New Zealand bought HM500A Crushing Machine on Aug,21,2015. Buyer in Ecuador ordered ZLSP 300B pelletiser and spare parts on Aug,26,2015. 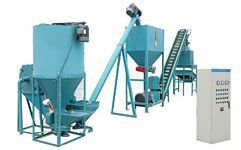 ZLSP 120B, 200B, 230B, 360B Pelleting press sold to Russia. Rind die pellets making machine send out to Spain and Israel on Aug,24,2015.